Saturday, April 27, 2019 (2 pm) - Spoken Word Open Mic. If you are into poetry or prose or storytelling etc..., get out to Dorn Space for an afternoon spoken word open mic (with special featured poets Thom Francis and Therese Broderick) co-sponsored by the Foothills Arts Council, Inc.. Admission is Free. Saturday, April 27, 2019 (7 pm) - An Evening of Spoken Words and Sonic Strings. Original poetry by popular Hudson Valley poet, Mike Jurkovic with Nick Bisanz providing musical accompaniment. 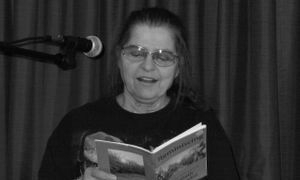 Opening the event will be Albany Poet favorite, Mary Panza. $10 (cash/door only). Friday, May 3, (7 pm) - Ed Smyth's Geek Comedy Hour (with Special Guest, Drew Jacobs). Calling all geeks, calling all geeks, Ed Smyth's Geek Comedy Hour is a little brainy, a little off beat, and a little silly. Comics and songsters come together for original comedy that's different from your average shtick! $10 (cash/door only). Saturday, May 4, 2019 (2 pm) - "100 in 1 Day" Concert Featuring Dwayne "D-Dubb" DeLong. In support of Gloversville's "100 in 1 Day" festivities, D-Dubb will be generously performing (in his unique way) an array of songs from the heyday of classic rock radio. Expect to hear favorite songs from the 1960s, '70s, and '80s that have withstood the test of time and still remain popular today. Admission is Free. Saturday, May 4, 2019 (7 pm) - Northern Borne in Concert. Creative folk duo, Northern Borne is an eclectic mix of bluegrass and folk with a hint of jam band and blues thrown in for an old-timey groove sound. 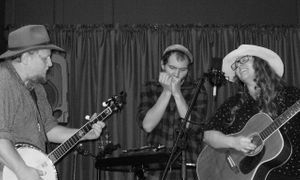 It all adds up to a lot of banjo and a lot of fun compliments of John Wensley and Sarah Babushkin! $10 (cash/door only). Sunday, May 5, 2019 (2 pm) - Gloversville's Gospel Salvation Open Mic. This is your opportunity to go public in your faith and get up (on stage) and give God the glory. You've got 5 minutes to speak, preach, read scripture (or a poem), sing a song, pray, give a testimony, tell a story etc... Admission is Free (cash donations accepted). Monday, May 6. 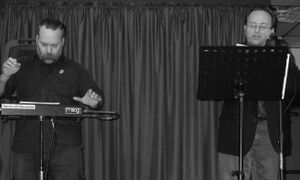 2019 (7 pm) - The Writers Club Poetry and Prose Open Mic. Writers, join us on the first Monday of every month (except holidays). Come out, share you written words and take your 5 minute turn on the Dorn Space stage. $5 (cash/door only). Friday, May 10, 2019 (7:30 pm) - The D-Dubb Experience. Get in on the fun and bear witness to the humongous repertoire of classic pop and rock music that is "The D-Dubb Experience." Special FREE Event (cash donations accepted). Thursday, May 16, 2019 (7 pm) - Girl Blue in Concert. Acclaimed singer/songwriter and "Solo Act of the Year," Girl Blue is returning to Dorn Space for a magically melodic Thursday night concert that you'll be talking about all weekend. $10 (cash/door only). Friday, May 17, 2019 (8 pm) - The Ethan Ullman Comedy Show with Special Guest Host, Thomas Attila Lewis. Ethan Ullman will not be appearing in the Ethan Ullman Comedy Show this month. But, evidently, the show must go on. In place of Ethan will be Ethan's larger than Ethan sidekick, the super-funny Thomas Attila Lewis! Thomas will be holding down the fort while Ethan is away and will be firing up his own brand of grade-A humor. So get to Dorn Space and find out why Thomas Attila Lewis has mixed and mingled with some of the biggest names in comedy. Admission is $10 (cash/door only). 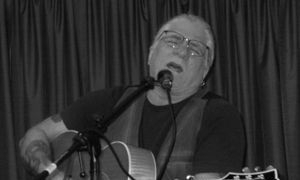 Friday, May 31, 2019 (7:30 pm) - Marty Wendell in Concert. Singer-Songwriter and Rockabilly Hall of Fame Member, Marty Wendell has shared the stage with music legends Johnny Cash and Carl Perkins. Don't miss this special opportunity to hear Marty's recollections and music. $10 (cash/door only). 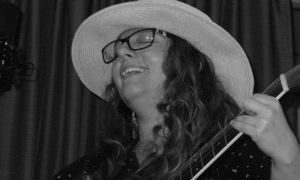 Friday, June 28, 2019 (7:30 pm) - Carolann Solebello in Concert. Award winning, Brooklyn-based singer/songwriter, Carolann Solebello released her fifth solo album in 2018 titled, Shiver. 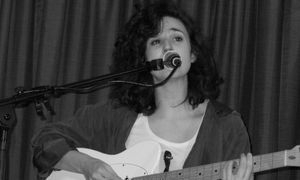 Her smooth, compelling voice and warm acoustic guitar style combines with an urban sense of rhythm and sophisticated vocal phrasing. $10 (cash/door only). Friday, Sept. 13, 2019 (7 pm) - Day 1 of Wide World of Writers Week. This year's ten day carnival of writers officially gets underway with a special edition, Writers Club Poetry and Prose Open Mic. In addition, a new Dorn Space Poet Laureate will be chosen among the evening's open mic participants. Each reader gets a five minute turn on stage. $5 (cash/door only). Saturday, Sept. 14, 2019 (7 pm) - Day 2 of Wide World of Writers Week. "What Say Us." An hour of egocentric wordplay by Gloversville's guardians of gobbledegook. Hosted by Brian Dorn with featured guests. $10 (cash/door only). Sunday, Sept. 15, 2019 (2 pm) - Day 3 of Wide World of Writers Week. - The Dorn Space Awards. 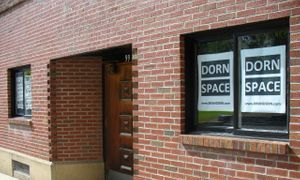 If you've participated in a show, open mic, paint job, building repair or any associated Dorn Space activity, you might be nominated for a "DORNSTAR" award (and yes, we do know what Dorn Star rhymes with so get your mind out of the gutter and get yourself ready for some good, semi-clean fun). $10 (cash/door only) *nominees get in free. Monday, Sept. 16, 2019 (7 pm) - Day 4 of Wide World of Writers Week. Tuesday, Sept. 17, 2019 (7 pm) - Day 5 of Wide World of Writers Week. Wednesday, Sept. 18, 2019 (7 pm) - Day 6 of Wide World of Writers Week. Thursday, Sept. 19, 2019 (7 pm) - Day 7 of Wide World of Writers Week. Friday, Sept. 20, 2019 (8 pm) - Day 8 of Wide World of Writers Week. The Ethan Ullman Comedy Show. Ethan Ullman has been making quite a name for himself in the world of comedic entertainment. Get out to Dorn Space to find out why he is "The King of All(bany) Media" and experience the thoroughly funny character that is Ethan Ullman. $10 (cash/door only). Saturday, Sept. 21, 2019 (7 pm) - Day 9 of Wide World of Writers Week. "What Say Us." An hour of egocentric wordplay by Gloversville's guardians of gobbledegook. 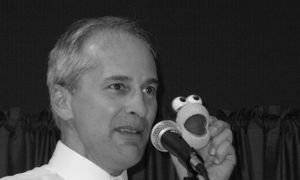 Hosted by Brian Dorn with featured guests. $10 (cash/door only). Sunday, Sept. 22, 2019 (2 pm) - Day 10 of Wide World of Writers Week. 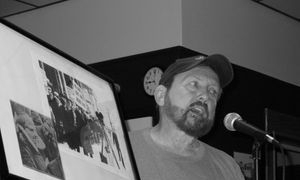 Gloversville's ten day carnival of writers comes to an end exactly how it officially began with a special edition, Writers Club Poetry and Prose Open Mic. Calling all writers, calling all writers, take your five minute turn on the Dorn Space stage. $5 (cash/door only). Friday, Sept. 27, 2019 (7:30 pm) - The William Deuel Band in Concert. Featuring electric and acoustic rock/blues, The William Deuel Band's recently released debut album of all original tracks, "Reset" has positioned the band within earshot of true musical acclaim. $10 (cash/door only). Saturday, Oct. 5, 2019 (7 pm) - Alex Smith in Concert. North country singer/songwriter, Alex Smith has toured internationally and been featured on the Emmy Award winning documentary, "Songs to Keep" alongside Pete Seeger, Peter Yarrow, and Dan Berggren. He's won an NTCMA award for his record "Hamilton County" and has received extensive radio play nationwide. $10 (cash/door only). Saturday, Nov. 9, 2019 (7 pm) - Dan Kirsner (The Nashville Performer) in Concert. Dan Kirsner has performed at the Grand Ole Opry and opened for music greats, George Jones, Conway Twitty, Del Reeves and Billy Walker. Get ready for an evening of original songs by a country music original. (Special Guest, Kevin Wayne opening). $10 (cash/door only).